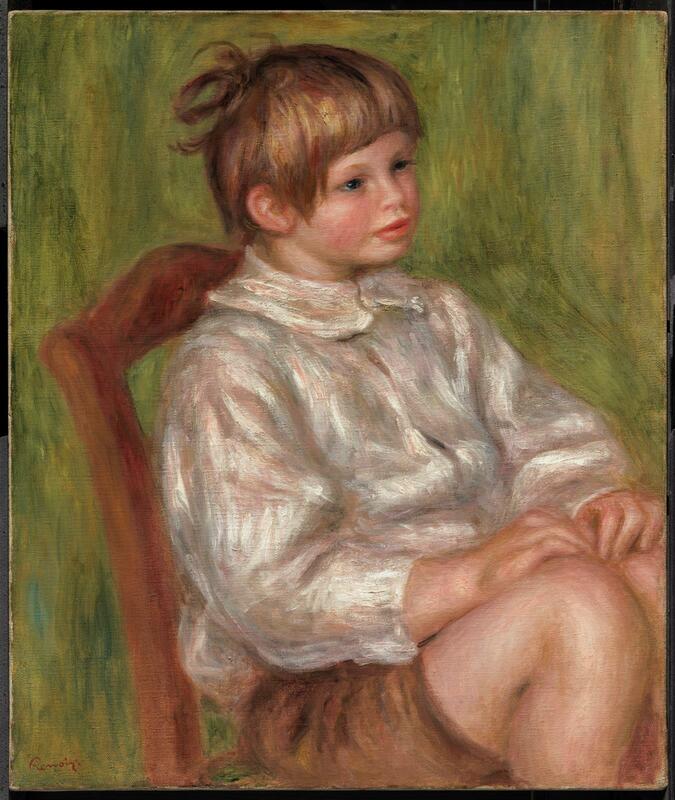 This painting represents Claude as a boy of nine. He wears regulation school shorts and the cropped, tousled haircut of an elementary school student. 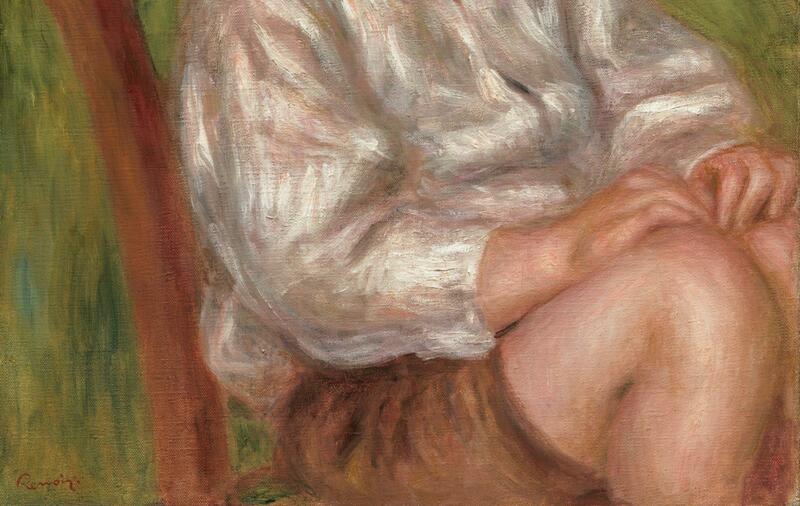 A child of Renoir’s old age; his growth is chronicled in the plump and rosy style of the artist’s late pictures. Published by Bernheim-Jeune, L'Atelier de Renoir, vol. 2 (Paris, 1931), pl. 121, cat. no. 376, among works of art from the artist's estate. Lent to the "Exposition d'Oeuvres des dix dernières années de Renoir" (Galerie Paul Rosenberg, Paris, January 16-February 24, 1934), cat. no. 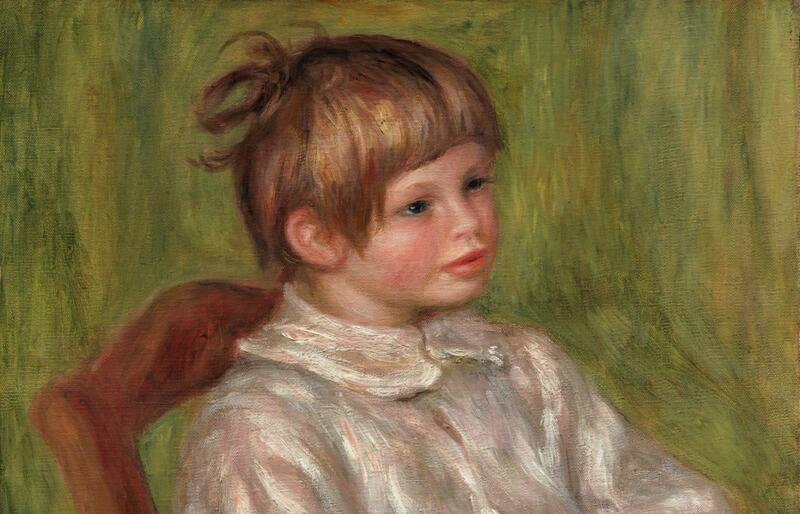 7, as "Claude Renoir assis" from the collection of M. R. L[...]. Many thanks to Julia May Boddewyn for providing the details of the transactions with Valentine Gallery.